Ji-hoo, having heard what Cha-don said to Se-kwang before, is still pondering about the matter. Se-kwang assures her that Cha-don is just full of lies, but Ji-hoo doesn’t think he would go to the extent of killing people around. However, the trial ends with Cha-don being convicted as the murderer of Hyuk thanks to Manager Yoo and he’s to serve 7 years in the prison. 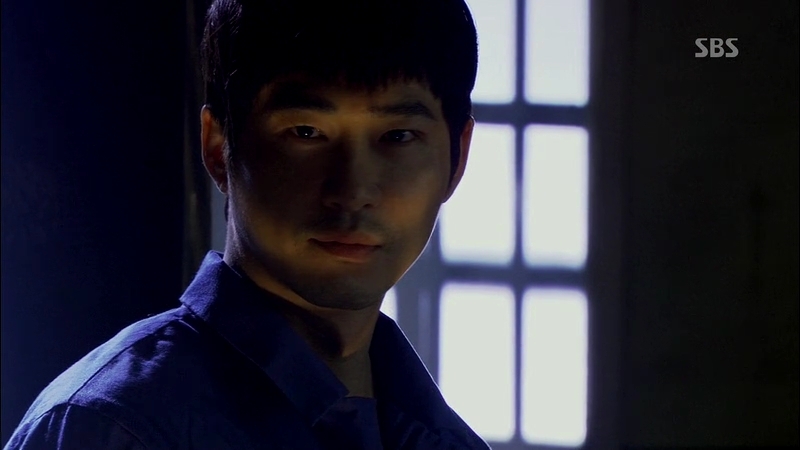 Jae-in sees him for the last time before he’s brought to the prison, tears welling in her eyes. Cha-don: Do you still remember the codes you taught me when we were young? Soon enough, Prosecutor Kwon is released from the accusation of bribery. Looks like someone is pulling some strings from the top as Chief Jo can’t do anything about it. Ji-hoo is frustrated to hear about it and decides to resign from her position as a prosecutor since she gets another job offer as a judge. 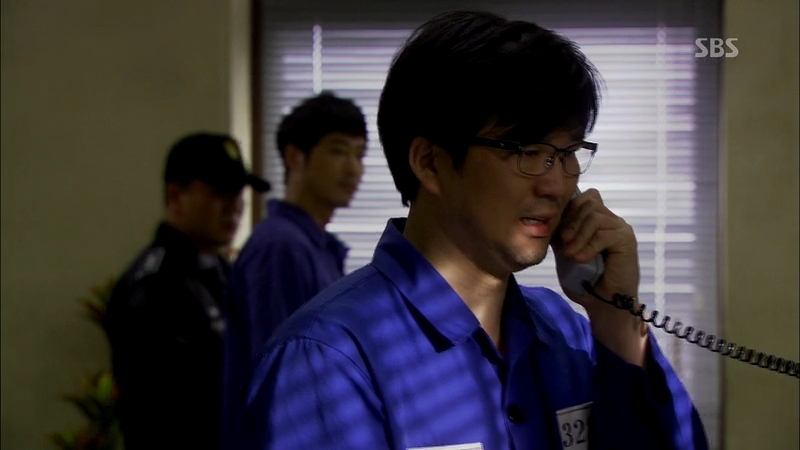 Prosecutor Kwon walks out of the prison and vows to make Cha-don’s life a hell after he finishes his prison sentence. Day One, Prison. 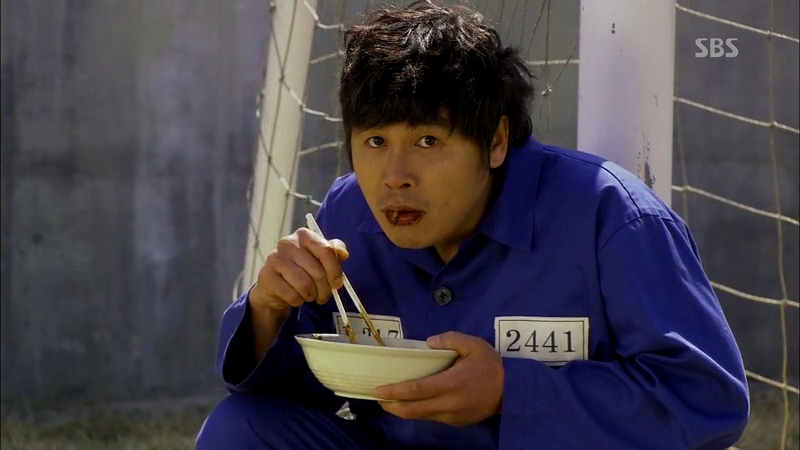 Cha-don is backed up by Chief Jo and he gets what he wants: to be inmates with Manager Yoo. The man freaks out upon seeing him but Cha-don had something else to worry about: he meets the gentleman that he sent to the prison five years ago: Park So-tae. So-tae is about to give him a good lesson but Cha-don attacks first, causing a ruckus in the cell. So-tae is sent to a solitary cell while Cha-don is brought to the office, where Chief Jo is waiting for him there. He tells Chief Jo that he’s going to create more troubles and it won’t stop here. Manager Yoo is about to give a call to Se-kwang, but Cha-don stops him and reminds him not to ask for any help from Se-kwang. Prof Jeon brings Se-kwang to meet the other members of the ruling party since Se-kwang is going to be the candidate for Mayor of Seoul. Although he’s busy paving his way to success, Se-kwang finds the time to inform Prosecutor Kwon that Hwanghae Bank is heading to bankruptcy. Jae-in finds out about it a little too late and the stocks have already plummeted, sending the customers into high alert. She assures them that she will do everything to protect their money. Although she’s almost defeated, Jae-in refuses to engage in good terms with Se-kwang and promises to fight with Cha-don until the end. Cha-don continues to give Manager Yoo a hard time, haunting his life and warning him not to sleep in front of him. So-tae returns to the cell on the next day, only to find Cha-don excused from the solitary cell. He chooses to eat first before giving him a lesson, but Cha-don flips their dining table before they have the chance to eat. This drives So-tae crazy and he hits Cha-don, only to be send to the solitary cell again and starve for the second day. Manager Yoo is going crazy since Cha-don is everywhere, reminding him not close his eyes when he’s around. So-tae is released and he’s about to punch Cha-don; however, jajangmyun is served thanks to a voluntary meal service. He runs for the first meal he’s going to have in several days, only to have his hopes shattered by Cha-don, again. So-tae can’t do anything although his bowl is kicked off by Cha-don and his underlings refuse to share their meals with him. 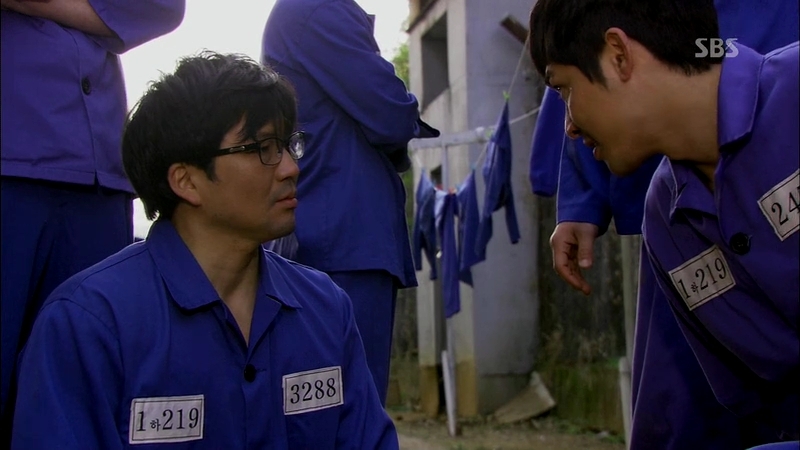 Cha-don walks away and recognizes someone else among the prisoners. Madam Bok is happier with Jae-in’s father on her side. Their calm morning is interrupted with some men coming in to confiscate their belongings since Jae-in has been declared bankrupt. Mr Kim tells her to bring Madam Bok out since her mother will throw tantrums when she sees people taking away her things. Jae-in spends the last coupon that she has to bring Madam Bok for a beauty treatment. Cha-don is visited by Manager Yang and Secretary Hong. They know about Jae-in’s financial problems but tells Cha-don nothing is wrong, per Jae-in’s request. Cha-don realizes that there’s another person staying in the same prison with him: the man was the one who tried to kill him with the truck before. He tells Manager Yang to visit the man’s family and help them using his name. The man approaches Cha-don later to thank him, but Cha-don ignores him. 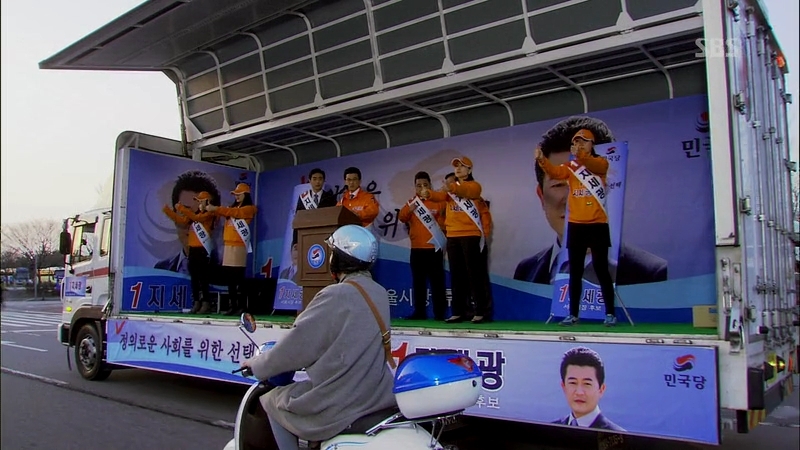 Se-kwang has officially joined the list of candidates for the election. His campaigns receive good reaction from the citizens, but one citizen follows him closely only to become his anti. That respected citizen is Jae-in, who’s spending her free time disrupting Se-kwang’s campaigns while telling the others not to believe his lies. Although she’s chased away few times, she’s still persistent with fighting Se-kwang in her own way. Cha-don gets a special treatment, which So-tae thinks an unfair thing to happen since he’s a troublemaker. So-tae is escorted outside of the cell and he returns with a new determination to kill Cha-don. He tells Manager Yoo to get a tool for him since he’s working in the sewing department. He fetches a pair of scissors and off they go to carry out their mission. Cha-don is called and So-tae doesn’t hesitate to stab him. The table is turned when Manager Yoo is apprehended and the men all admit to have witnessed him stabbing Cha-don with the scissors. Cha-don is going to accuse him of an attempt to kill him and he actually planned it all with So-tae beforehand. He wants Manager Yoo to get a taste of being framed with something he didn’t do. Manager Yoo doesn’t want to get his sentence increased and begs for Cha-don to give him the chance to make up for his mistakes. 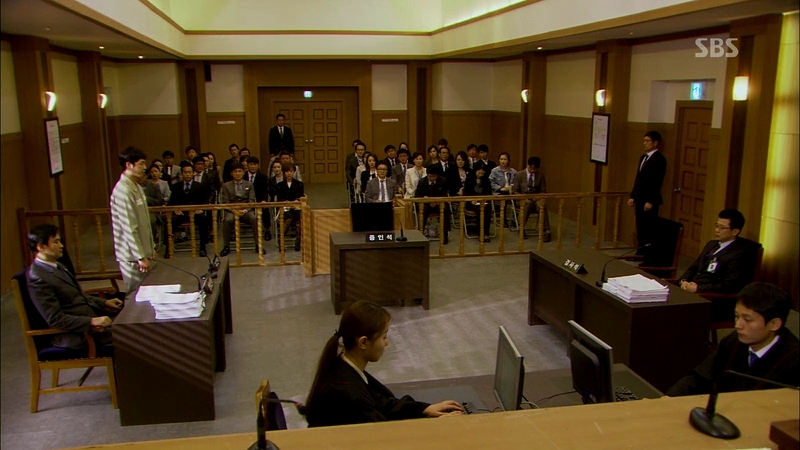 Cha-don is then released from the murder charge but receives a bad news: Jae-in is bankrupt. She’s still persistent in interrupting Se-kwang’s series of campaigns and Jae-in even prepares a petition to remove him from the list of candidates. She’s interrupted by the committees who forces her to go away. Jae-in falls and hits her head onto the ground. Se-kwang sees the commotion and comes over to help Jae-in who has passed out. He brings her to the hospital and she’s actually suffering from malnutrition and fatigue. She wakes up from her beautiful dream with Cha-don to find Se-kwang on her bedside. Jae-in won’t back off from her fight with Se-kwang and walks out of the hospital. Manager Yang calls to tell her about Cha-don’s release. Cha-don meets the truck driver to ask about the person behind the hit-and-run, but the man can’t tell him who the person is. Cha-don understands and he will wait until the man come to him and tell him the truth. He also thanks So-tae for his help before he goes out of the prison. Cha-don’s strategy of fishing out the confession from Manager Yoo feels quite simple, probably because we’re running out of time over here. However, his way of asking for help is quite hard. Poor So-tae! But the friendship from the interaction? Priceless. 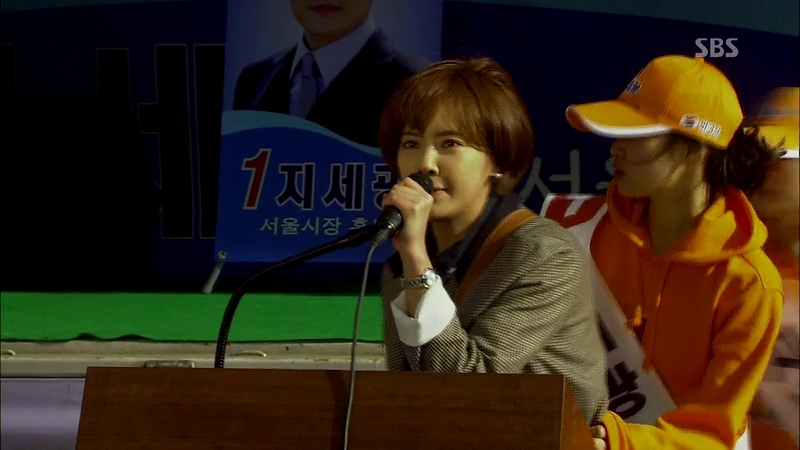 I’ll totally miss this ahjusshi~! And you, Se-kwang….rise higher and the effect when you fall to the ground will be much more painful. Get ready for the excruciating moment. I’m sorry sad that this is the last weekend!! This truly is the best drama out there and I’m really going to miss it. I love the fact that the slower episodes were at the beginning but from his firing as a prosecutor until now, the episodes kept getting better and better!! The interactions between him and Jae-In were perfect! I loved how they flashed back to the conversation they had when they were kids and used those signals. I thought it was perfect that Cha Don declared his love that way because, guess what, he remembered that conversation and that spoke volumes. Only 2 more episodes….I’m so sad! I don’t want it to end but I want to the the fall of Se-kwang. This show turns me into a bipolar. Urgh so many feels~!